A former mill town on the Hood Canal in Kitsap County, Seabeck is primarily a rural area, but it does offer Seabeck waterfront real estate owners a number of conveniences like a general store, antique shop, coffee shop, a pizza eatery and the Olympic View Marina. At the historic Seabeck General Store, which dates all the way back to 1856, you can pick up groceries, snacks, drinks and more. With an excellent wine selection and homemade sandwiches, it’s ideal for picking up everything you need for a picnic, while nearby Turie’s Seabeck Espresso is great for fueling up for all those activities as well. In nearby in Silverdale, just a 15-minute drive away, you’ll find just about anything you could ever need, including the Kitsap Mall with its wide range of retailers, restaurants and entertainment. When you own Seabeck waterfront real estate, you’ll be able to take in some spectacular views of the canal and the majestic Olympic Mountain range right from home, whether you’re inside or out. While some waterfront homes include their own boat launch, Seabeck also hosts a public pier, boat launch and lots of space to enjoy the beach or launch a kayak and paddle out across the water, taking in the shoreline view as well as catching glimpses of bald eagles and marine life along the way. Seabeck is a great area to score some more affordable waterfront real estate, but you’ll also find luxurious options too if you’re looking to enjoy the ultimate in waterside living. 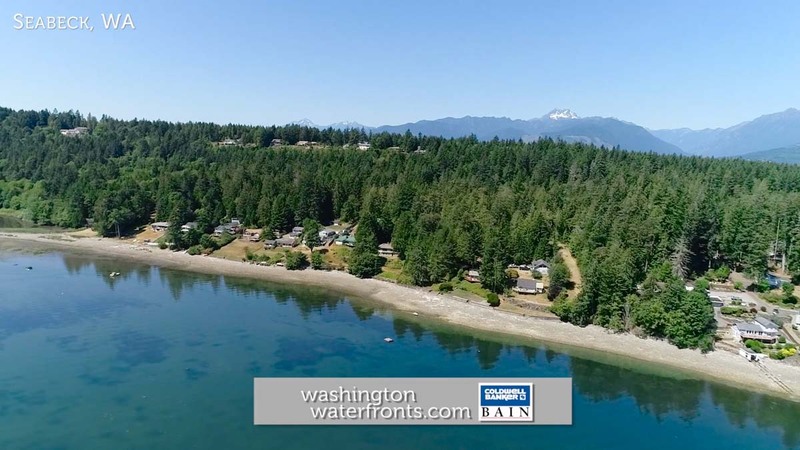 Seabeck waterfront real estate may including offerings like a custom home on several acres with over 500 feet of waterfront for fishing, clamming or crabbing, making it easier to catch your own meal. All of that and you’ll be just minutes from Silverdale, Bremerton, Poulsbo and Bainbridge Island too. Take advantage of our industry-leading tools to make your property search as easy as possible and be sure to register for a FREE account so that you can receive email alerts whenever new Seabeck waterfront real estate for sale hits the market. If you're seeking to sell your Seabeck waterfront property, contact our Waterfront Specialists directly for a comprehensive listing analysis and to learn more about the cutting-edge marketing strategies we'll use to sell your home quickly for top dollar!